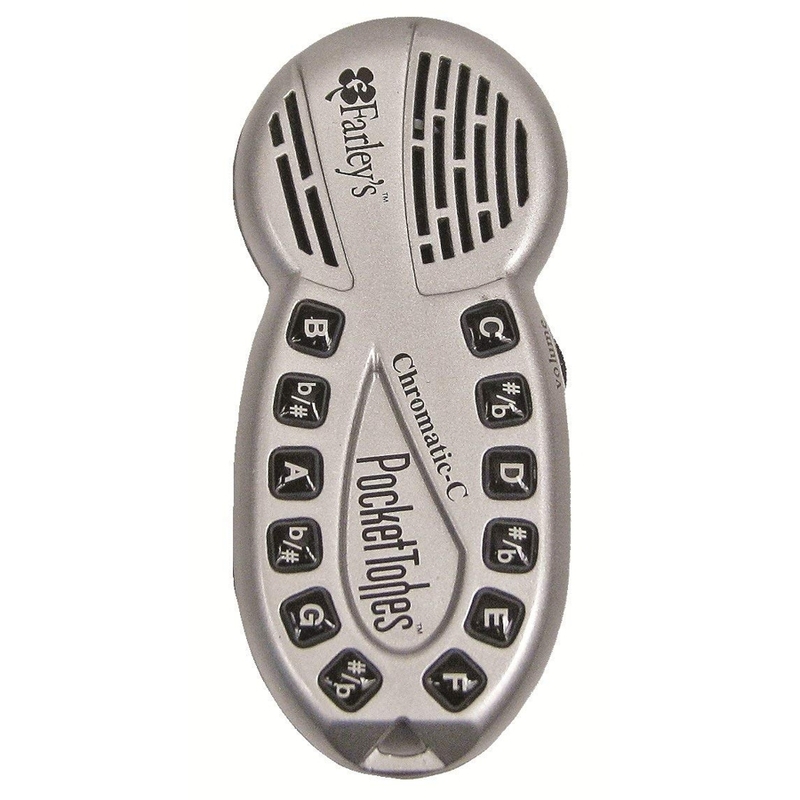 Farley’s Pocket Tones™ electronic pitch pipes are a handy, durable and compact device, which may be carried in your pocket or purse as a pitch pipe key fob; or they can fit conveniently in an instrument case for accurate tones whenever you need them. A cappella singers, quartets, and choral groups will find this battery-operated, tone generating device indispensable. A must when there is no piano or reference instrument nearby.